After Magus released last year, Fiery Dawn from Georgia delivers a second album, this time self-released. Very danceable material, the sound is very sunny with noticeable influence from Astral Projection (especially the Amen album). The opening track "Illusions of life" is melodic downtempo, the atmosphere is actually darkish but this dark side will not last too long. A very well executed opener. 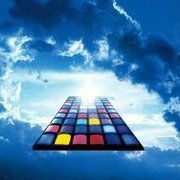 "Darkness & light" delivers an Astral Projection tribute, straight to the point with a solid melodic work. "Inner motion" has a very nice structure, sadly I do not fancy these out of tune acid sounds, probably deliberate but a strange choice in my opinion. "Limitless" starts a little differently, more clubby and morning, but later unleashes delicious acid lines. "Signals from outer space" is similar but without the acid it sounds a little dull for me. 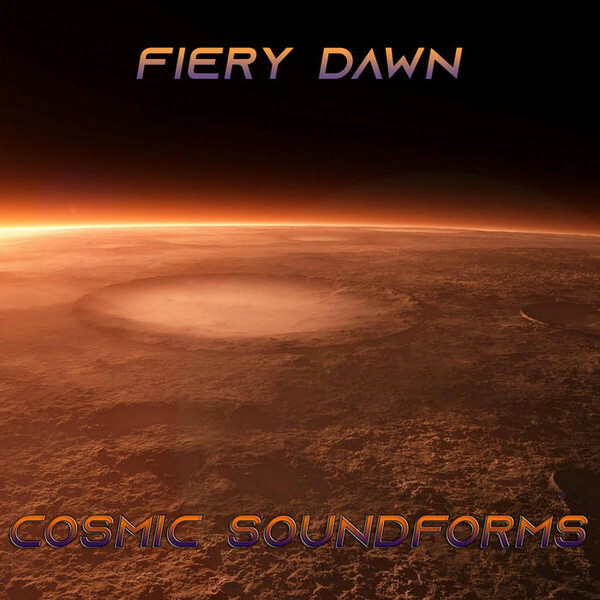 "Cosmic soundforms" is enthusiastic and contains a sequence quite similar to Pleiadians - Alcyone, listen closely and you will know what I mean =) The second half is pure morning bliss with a few drums played in the background. Surely a favorite here. "Perihelion" is very reminiscent of eurotrance from the early 2000s, and also a track I would compare to Astral Projection (Infinite Justice), very pleasant party vibe all around. "Feelings" brings the acid again together with twirling melodies on a groovy bassline. "Soul ocean" grabs the listener with a very heavy kickline, the atmosphere is very morning and even euphoric, pure trance, very refreshing stuff with inspiring key changes too. Brilliant melodic manipulation in this track, great drive, maybe the best production here and definitely a favorite if you are into melodic trance. "The abyss" delivers a style close to the opening track, a downtempo composition to end the journey on a relaxing note. Interesting album to say the least, more on the morning side of goa trance, with at least five strong tracks that I highly recommend (#1, #4, #6, #7 and #9). According to me, an improvement over Magus which was more psychedelic but also more generic. At the end of the day it is just a matter of taste. I have to say that I really enjoyed this album. Almost all tracks have something exciting to offer, and the only one that didn't work for me was Inner Motion. The two best tracks for me are Illusions of Life, a terrific track that combines slow breaks with psy melodies, and Soul Ocean, which is pure old school goa at its best. Giorgi is definitely a very talented producer and I'll be looking forward to more music from him in the future. Magus was a pleasant listen, so I was eager to hear this one. Unfortunately, it let me down. Track 2 and 3 are nice. A steady rhythm with hypnotic beats carry on. But from then on it's very generic and not going anywhere. It left me unsurprised and disappointed. I wanted this to be good, but the lack of originality and climaxes or hypnotic structures kills it for me. All tracks seems to be falling flat at some point instead of going up.